If your wedding colors are white and black, and gave you some ideas for decorating your reception hall, using details with these colors, also, we present beautiful centerpieces and floral arrangements, now is the turn of the most important guest at a wedding ... 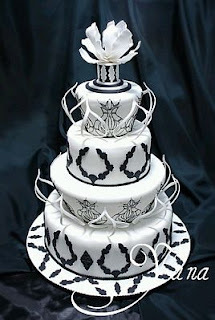 Marriage Cake. 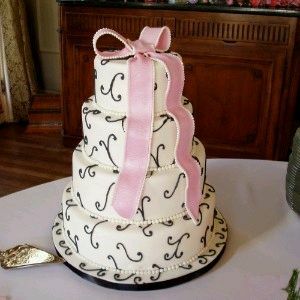 In this article we present some beautiful suggestions that might be very useful, remember to choose it properly you must think first in the style of your wedding, elegant, casual, original, etc.., So the cake should have the same characteristics, size will be in relation to the number of guests, the decorative details in relation to the decoration of the rooms, and flavors depend on your taste. 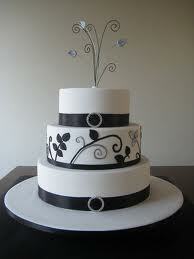 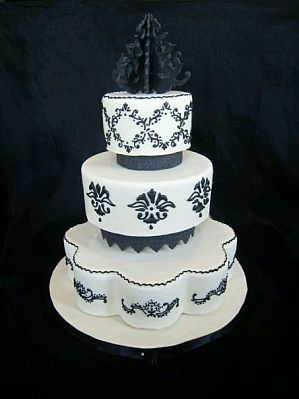 Impressive four-level cake decorated in white and black ribbons and roses on the side and top. Beautiful wedding cake three floors and informal style, decorated with white and black and with a stylized motif on top. 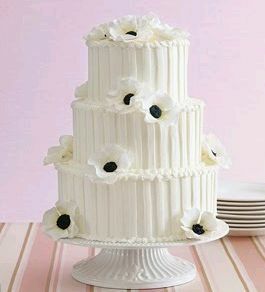 Model wedding cake decorated entirely in white, the flowers are also this color and black circular medium has as details. 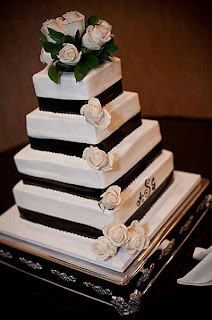 Marriage cake four floors, decorated in white with black accents and a pink ribbon on top. 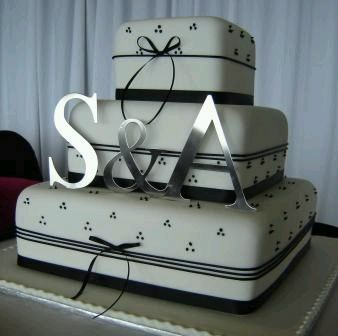 Elegant wedding cake model of three floors, decorated with black ribbons and small circles of the same color, which stands out nicely on the white background, the initials of the bride and groom look great in silver. 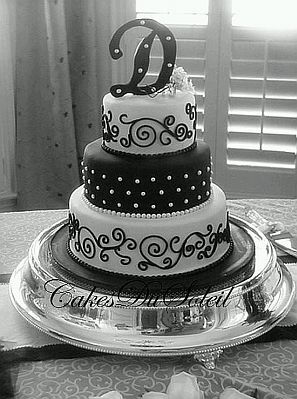 Original model four-floor cake, white background allows highlighting black color details. If you chose the lace wedding decoration, this is a good idea, it is a two-floor cake decorated with black lace applications. 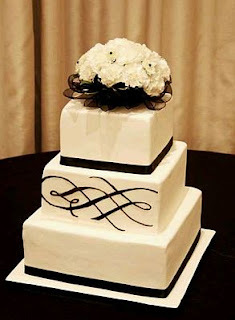 Peculiar wedding cake three floors with a first floor lobed star-shaped, and the two following round, the three have a white area with black accents. This cake also has three floors, but in this particular case, the first and last cake, are decorated with white and black accents, while the middle is black with white. 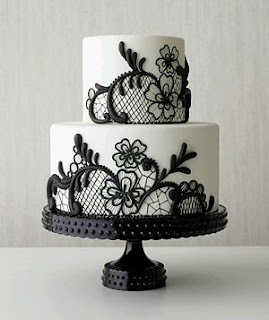 Finally, simplicity and elegance are words that describe perfectly this delicate model.